← Strange things that don’t make sense to me. I couldn’t find a pre-fabricated stand that was going to do what I needed. So I made my own. I went to Home Depot. I kind of knew what I wanted. But I was pretty fluid on what would do the job, materiel wise. So this is what I bought to make it. Glue – Elmer’s Carpenter Wood Glue 8 oz. About an hour and half of work assembling. No directions or instructions to follow. 1. Put the brace in place on the corner. 2. Take one of the supports. 3. Mark the holes for the brace. 4. Use the hammer and nail to make a small hole in the wood. 5. 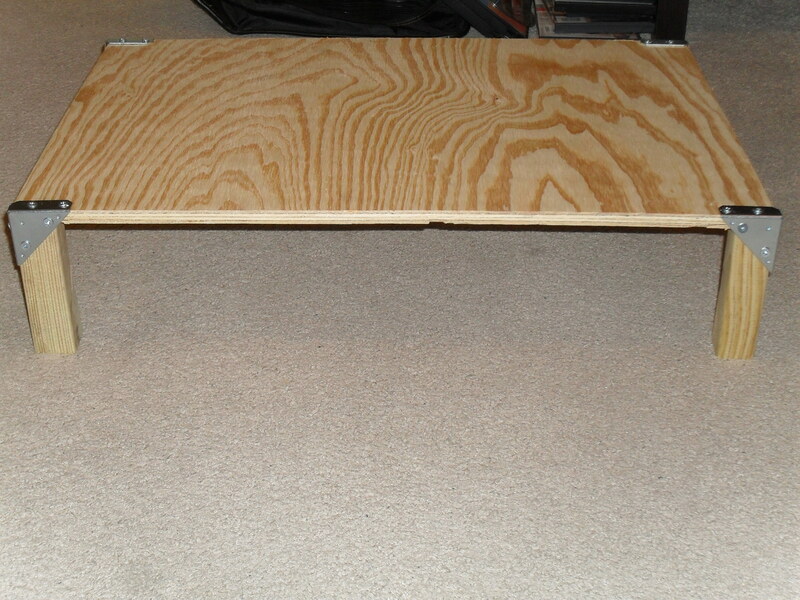 Use a dot of wood glue to put the support into place. 6. Use the hammered hole as a guide for the screws. 8. Repeat for all four support until the six screws are into each brace. 9. 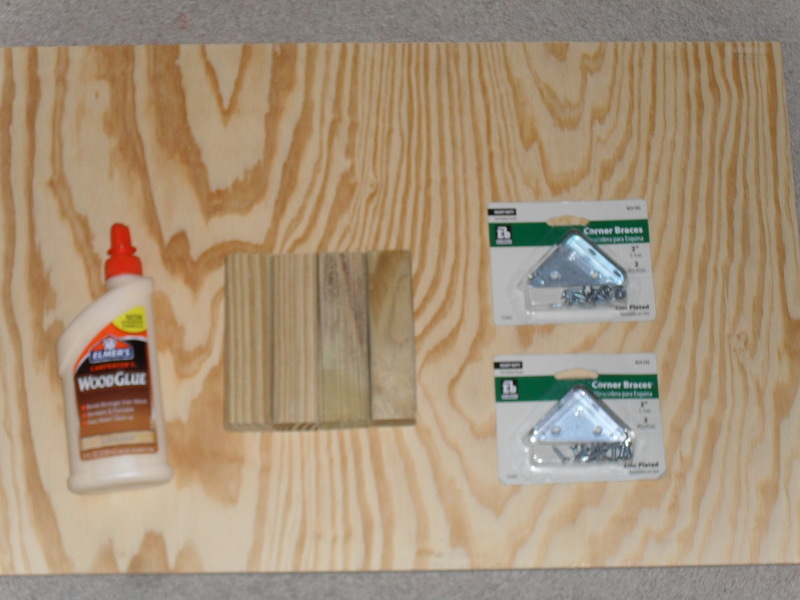 Use wood glue to further secure the supports to the board. I took Home Depot’s advice from their slogan: “More saving. More doing.” I needed a TV stand for my bedroom TV. I couldn’t find one that would satisfy me at any store I went to. So I got to doing. I knew pretty much what I wanted to do. What it should take. I had my measurements. 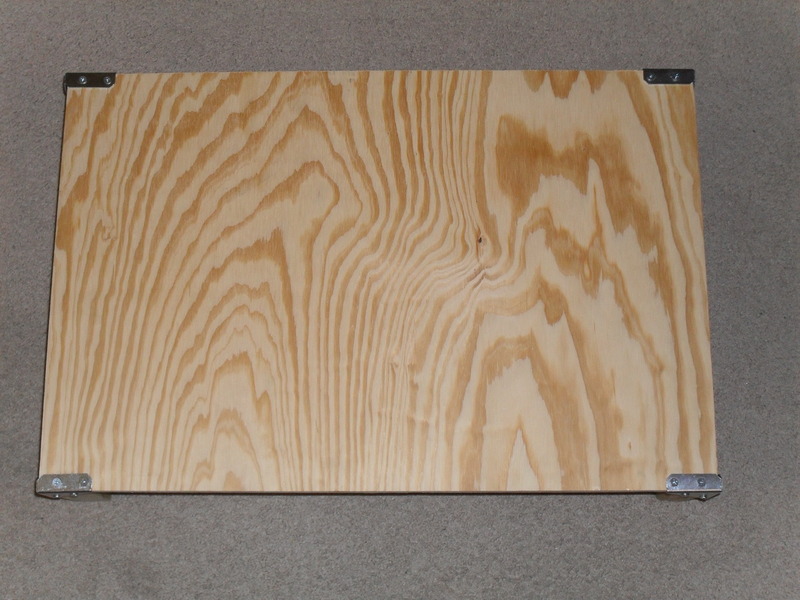 The top of the dresser is 42” length x 17” width. So it had to be smaller than that. 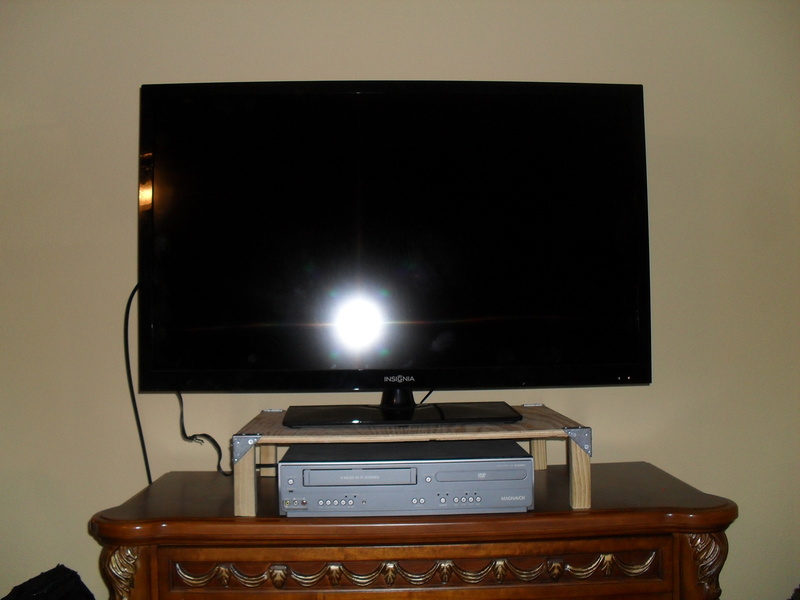 And the DVD/VCR is 17” long x 10” width x 4” height. With the measurements, I headed to Home Depot. Found what I needed. Got them cut to fit my specification. And it took about an hour and half to put together. It is not perfect but it is level. The screws aren’t all flush. 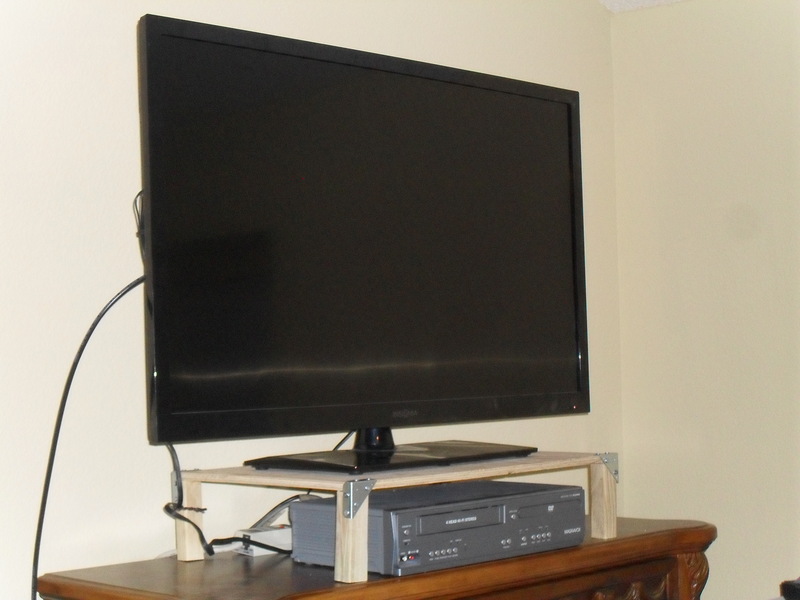 It will hold the TV. I am thinking about if I want to paint it or not. I am cool with it as is for now. No instructions. No directions. No Problem. I do stuff! I wish I had taken a couple of pictures while it was in progress. But I just didn’t. Still, looks decent. Hopefully it will last for quite a while. This entry was posted in Economy, Fabrication, Merica and tagged Do Stuff, Making Furniture. Bookmark the permalink.